On the 23rd of this month, all who value life, and in particular the life of the unborn, will have the opportunity to pray as a nation AND as a world of Believers united in the TRUTH that: ALL LIFE MATTERS! No matter the age, the intelligence, the circumstance surrounding the human life, ALL of us are made in the IMAGE AND LIKENESS OF GOD(cf Gen 1:26a, 27) , so their life matters! 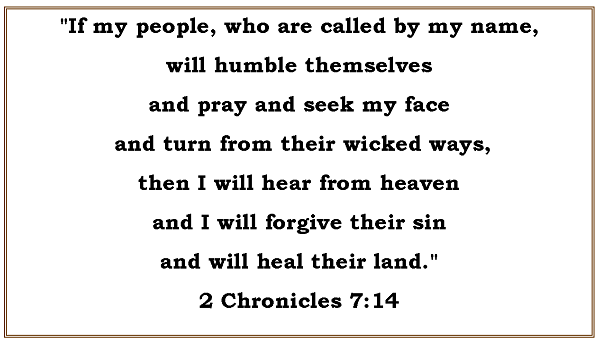 Therefore, ALL Christians – persons who profess faith in Christ Jesus, need to come together in prayer as we are embarking in a historic moment in time. We – the Church – are on the path to Redemption and Salvation as we follow our Lord and Savior into His Passion. 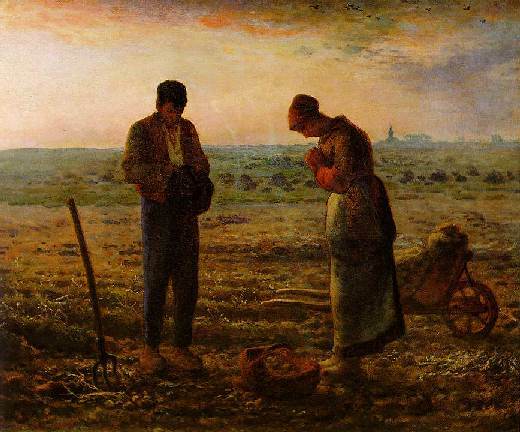 As such, we MUST keep up the PRAYING and not let fear rule the day, if we are to reach our destination – that is the Resurrection which will be proceeded by an era of Peace (Mt 24:13-14) – in one piece; both as a Remnant Few & in the Church Triumphant. Please pass this on, this national call for all Christians to pray for the Church and for our Country, as we approach the 23rd; but also for the full year of 2017. Because, when events happen, we must KEEP PRAYING! Prayer IS our BEST DEFENSE against EVIL! Ever hear of the Battle of Lepanto in 1571? “The Holy League credited the victory to the Virgin Mary, whose intercession with God they had implored for victory through the use of the Rosary. Andrea Doria had kept a copy of the miraculous image of Our Lady of Guadalupe given to him by King Philip II of Spain in his ship’s state room. And you know this is true because Satan spends a great deal of time trying to make people afraid of this devotion. The devil tells us lies like, “you’re worshiping Mary”; when in reality, you’re concentrating on the Life of Christ and you are doing so with His mother at your side! Who knows a son better than a mother? We only worship God – Father, Son and Holy Spirit! 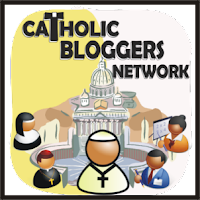 Other prayers one can pray are the Divine Mercy Chaplet, the Memorare, the Litany of the Saints, or the recent prayer used during our Fortnight for Freedom: the Prayer for Religious Freedom. And of course there is always the most effective prayer of all: the celebration of the most Holy Mass! “[Y]our King… is the One who is fighting the battles and winning the souls. And the war is for souls, dear apostles.” ~ Lay Apostles, July Monthly Message, 2012, excerpt, emphasis added. …take heed to yourselves lest your hearts be weighed down with dissipation and drunkenness and cares of this life, and that day come upon you suddenly like a snare; for it will come upon all who dwell upon the face of the whole earth. Father, in the rising of Your Son death gives birth to new life. The sufferings He endured restored HOPE to a fallen world. Let sin NEVER ensnare us with empty promises if passing joy. Make us one with You always, so that our JOY may be HOLY, and our LOVE may give LIFE. 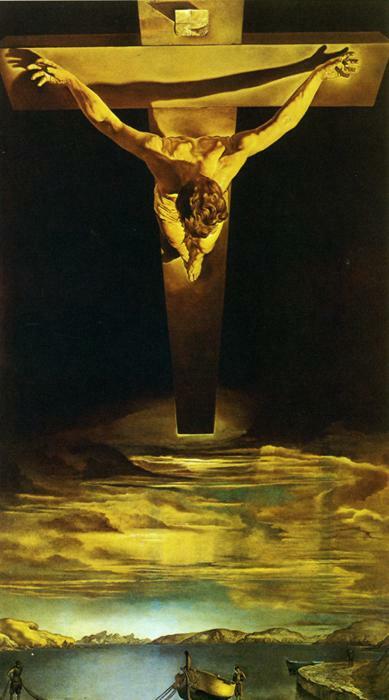 [T]hrough the obedience of Jesus, Your servant and Your Son, You raised a fallen word. Free us from sin and bring us the joy that lasts forever. We ask this through our Lord Jesus Christ, Your Son, who lives and reigns with You and the Holy Spirit, One God, forever and ever. Amen! May the Lord Bless Us, protect us from ALL evil and bring us to EVERLASTING LIFE! -Amen! Pray on, dear warriors, PRAY ON! Ps… here is a bonus prayer, just for you! Paul Harvey Gives us our TODAY – but he did so back in 1965! This is the final posting for the Liturgical Season of Advent and Christmas, 2016-17. It concludes with the Epiphany of the Lord celebrated on Sunday, Jan 7th, in the American churches. Also this year we celebrate the Baptism of the Lord on the following day, Monday the 9th, and NOT as a Holy Day of Obligation… kinda weird, but there ya go. You’ll see a lot of “direct connects” to the previous two posts, though! Are you set? Let us pray! Songs of thankfulness and praise, Jesus, Lord, to Thee we raise. Manifested by the star, to the wise men from a far. Branch of royal David’s stem, in Thy birth at Bethlehem; Praises be to Thee addressed, God in man made manifest. Manifest at Jordan’s stream, Prophet Priest and King supreme; And at Cana wedding guest, to Thy Godhead manifest. Manifest in power divine, changing water into wine; Praises be to Thee addressed, God in man made manifest. Grant us grace to see Thee, Lord, mirrored in Thy holy word; May we imitate Thee now, and be pure, as pure art Thou; That we like to Thee may be, at Thy great Epiphany; And may praise Thee, ever blessed, God in man made manifest. The Epiphany is the manifestation of Jesus as Messiah of Israel, Son of God and Savior of the world. The great feast of Epiphany celebrates the adoration of Jesus by the wise men (magi) from the East, together with His baptism in the Jordan and the wedding feast at Cana in Galilee (cf. Mt: 2-1). In the magi, representatives of the neighboring pagan religions, the Gospel sees the first-fruits of the nations, who welcome the good news of salvation through the Incarnation. 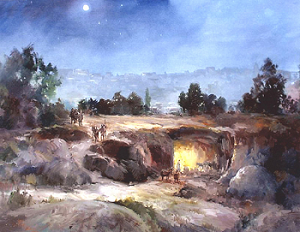 The magi’s coming to Jerusalem in order to pay homage to the King of the Jews shows that they seek in Israel, in the messianic light of the star of David, the One who will be King of the nations, (cf. Mt 2:2; Num 24: 17-19; Rev 22:16). Ant. 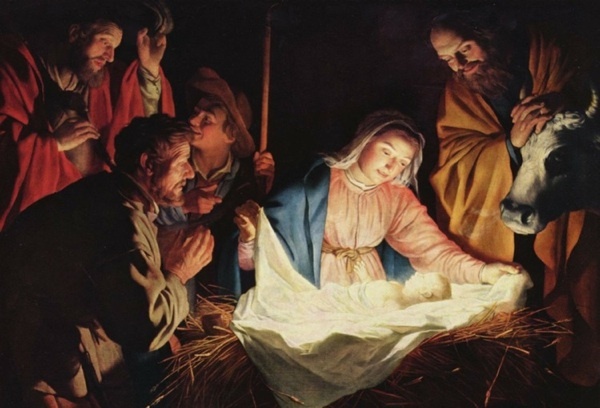 1 Begotten of the Father before the daystar shone or time began, the Lord our Savior has appeared on earth today. Praise the name of the Lord, praise Him, servants of the Lord, who stand in the house of the Lord in the courts of the house of our God. Praise the Lord for the Lord is good. Sing a psalm to His name for He is loving. For the Lord has chosen Jacob for Himself and Israel for His own possession. For I know the Lord is great, that our Lord is high above all gods. The Lord does whatever He wills, in heaven, on earth, in the seas. He summons clouds from the ends of the earth; makes lightning produce the rain; from His treasuries He sends forth the wind. The first-born of the Egyptians He smote, of man and beast alike. Signs and wonders He worked in the midst of your land, O Egypt, against Pharaoh and all his servants. Nations in their greatness He struck and kings in their splendor He slew. Sihon, king of the Amorites, Og, the king of Bashan, and all the kingdoms of Canaan. He let Israel inherit their land; on His people their land He bestowed. Jesus’ circumcision, on the eighth day after His birth (cf. Lk 2:21), is the sign of His incorporation into Abraham’s descendants, into the people of the covenant. It is the sign of His submission to the Law (cf. Gal 4:4), and His deputation to Israel’s worship, in which He will participate throughout His life. This sign prefigures that “circumcision of Christ” which is Baptism, (cf. Col 2: 11-13). Ant. 2 Great is the Lord, our God, transcending all other gods. Lord, Your name stands for ever, unforgotten from age to age; for the Lord does justice for His people; the Lord takes pity on His servants. Pagan idols are silver and gold, the work of human hands. They have mouths but cannot speak; they have eyes but they cannot see. They have ears but they cannot hear; there is never a breath on their lips. Their makers will come to be like them and so will all who trust in them! Sons of Israel, bless the Lord! Sons of Aaron, bless the Lord! Sons of Levi, bless the Lord! You who fear Him, bless the Lord! From Zion may the Lord be blessed, He who dwells in Jerusalem! The three Kings, whose names (according to tradition) were Gaspar, Balthasar, and Melchior, ruled over now Iraq and Iran. Gaspar of Mesopotamia, the younger was light brown in appearance, Balthasar of Parthia was dark brown, while Melchior of Media, the oldest, was rather stout and had an olive-colored complexion. All three were unusually just and honorable men who were also great scholars and students of religion. Through their knowledge of the Old Testament prophecies and of certain traditions of their own peoples, they believed in the coming of the Savior of mankind. The journey across the deserts, mountains, and rivers of Chaldea and Syria took nearly a month, despite the fact that the camels and horses were unusually fleet footed… At last, after crossing the river Jordan, they arrived before the walls of Jerusalem, which, because it was the capital of Israel, they thought [this would be] the logical birthplace of the new born King of the Jews. [Yet] they…observed no signs of rejoicing among the people… as they approached the great city, the star faded from their sight. Christ manifest in the flesh, Christ justified in the Spirit. Christ contemplated by the angels, Christ proclaimed by the pagans. Christ believed in throughout the world, Christ exalted in Glory. Ant. 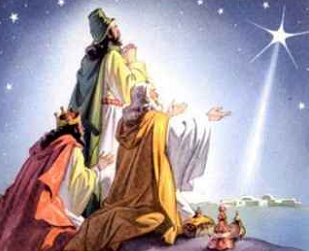 3 The star burned like a flame, pointed the way to God, the King of kings; the wise men saw the sign and brought their gifts in homage to their great King. The unique and altogether singular event of the Incarnation of the Son of God does not mean that Jesus Christ is part God and part man, nor does it imply that He is the result of a confused mixture of the divine and the human. He became truly man while remaining truly God. Jesus Christ is true God and true man. During the first centuries, the Church had to defend and clarify this truth of faith against the heresies that falsified it. God has saved us and called us to a holy life, not because of any merit of ours but according to His own design – the grace held out to us in Christ Jesus before the world began but now made manifest through the appearance of our Savior. He has robbed death of its power and has brought life and immortality into clear light through the gospel. In the service of this gospel I have been appointed preacher and apostle and teacher, and for its sake I undergo present hardships. But I am not ashamed for I know Him in whom I have believed, and I am confident that He is able to guard what has been entrusted to me until that Day. Take as a model of sound teaching what you have heard me say, in faith and love in Christ Jesus. – give us a willing spirit of adoration and service. – grant mankind an abundant measure of peace. – send Your Word as fresh spring rain falling on our hearts. – be compassionate to the suffering and the afflicted. – show the wonders of Your saving power to our deceased brothers and sisters. Our Father, who art in heaven, hallowed be Thy name. Thy kingdom come, Thy Will be done, on earth as it is in heaven. Give us this day, our daily bread, and forgive us our trespasses as we forgive those who trespass against us. Lead us not into temptation, but deliver us from evil, AMEN! 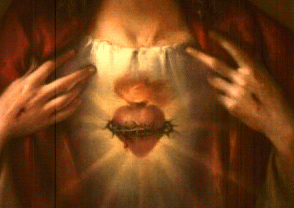 Father of light, unchanging God, today You reveal to men of faith the resplendent fact of the Word made flesh. Your light is strong, Your love is near; draw us beyond the limits which this world imposes to the life where Your Spirit makes all life complete. Father, You revealed Your Son to the nations by the guidance of a star. Lead us to Your glory in heaven by the light of faith. We ask this through our Lord Jesus Christ, Your Son, who lives and reigns with You and the Holy Spirit, on God, forever and ever. AMEN!